The U.S. Securities and Exchange Commission charged NASDAQ with securities laws violations on Wednesday for its bungling Facebook’s Initial Public Offering. As part of the settlement, NASDAQ agrees to pay $10 million in penalties to the U.S. government. The official statement by the SEC is highly critical of NASDAQ’s infrastructure and actions of senior management. The statement outlines the timeline of events and what exactly went wrong. Mainly pointing out how NASDAQ should have delayed the IPO when realizing there was a potential issue. Additionally, NASDAQ is accused of breaking its own rules as it pertains to “error accounts” in which NASDAQ ended up pocketing $10.8 million. Daniel M. Hawke, Chief of the SEC Enforcement Division’s Market Abuse Unit said “Too often in today’s markets, systems disruptions are written off as mere technical ‘glitches’ when it’s the design of the systems and the response of exchange officials that cause us the most concern.” Ouch. Not a good sign for a market that trades predominately in tech stocks. Washington, D.C., May 29, 2013 — The Securities and Exchange Commission today charged NASDAQ with securities laws violations resulting from its poor systems and decision-making during the initial public offering (IPO) and secondary market trading of Facebook shares. NASDAQ has agreed to settle the SEC’s charges by paying a $10 million penalty – the largest ever against an exchange. Exchanges have an obligation to ensure that their systems, processes, and contingency planning are robust and adequate to manage an IPO without disruption to the market. According to the SEC’s order instituting settled administrative proceedings, despite widespread anticipation that the Facebook IPO would be among the largest in history with huge numbers of investors participating, a design limitation in NASDAQ’s system to match IPO buy and sell orders caused disruptions to the Facebook IPO. NASDAQ then made a series of ill-fated decisions that led to the rules violations. According to the SEC’s order, several members of NASDAQ’s senior leadership team convened a “Code Blue” conference call and decided not to delay the start of secondary market trading in Facebook with the expectation that they had fixed the system limitation by removing a few lines of computer code. However, they did not understand the root cause of the problem. NASDAQ’s decision to initiate trading before fully understanding the problem caused violations of several rules, including NASDAQ’s fundamental rule governing the price/time priority for executing trade orders. The problem caused more than 30,000 Facebook orders to remain stuck in NASDAQ’s system for more than two hours when they should have been promptly executed or cancelled. “This action against NASDAQ tells the tale of how poorly designed systems and hasty decision-making not only disrupted one of the largest IPOs in history, but produced serious and pervasive violations of fundamental rules governing our markets,” said George S. Canellos, Co-Director of the SEC’s Division of Enforcement. The matching of buy and sell orders in an IPO is referred to as “the cross.” According to the SEC’s order, the systems problems encountered during the Facebook IPO on May 18, 2012, caused the cross to fall 19 minutes behind the orders received by NASDAQ, whose IPO cross application calculated the price and volume of the cross based on the orders and cancellations received up until 11:11 a.m. This time discrepancy caused more than 38,000 marketable Facebook orders placed between 11:11 a.m. and 11:30:09 a.m. to not be included in the cross. Approximately 8,000 of those orders were entered into the market at 11:30 a.m. when continuous trading commenced, and the remaining 30,000 were “stuck” orders. Immediately prior to the cross, NASDAQ officials noticed a discrepancy between the final indicative pricing and volume totals and the actual totals on NASDAQ’s internal systems. This discrepancy indicated that there was still a problem with the cross and that some cross-eligible orders may not have been handled properly. But NASDAQ failed to address this issue during the minutes and hours following the cross. NASDAQ’s Facebook issues also caused problems in the trading of Zynga shares, and NASDAQ failed to execute 365 orders for Zynga shares in accordance with the price/time priority requirements. According to the SEC’s order, NASDAQ further violated its rules when it assumed a short position in Facebook of more than three million shares in an unauthorized error account. NASDAQ’s rules do not permit it to use an error account for any purpose. NASDAQ subsequently covered that short position for a profit of approximately $10.8 million, also in violation of its rules. NASDAQ further violated its rules in three other ways during the opening of trading after the end of the display-only period for Facebook and following a halt in Zynga trading. The SEC’s order also charges NASDAQ’s affiliated third party broker-dealer NASDAQ Execution Services (NES) with failing to maintain sufficient net capital reserves on the day of the Facebook IPO as a result of NASDAQ’s own Facebook trading through the unauthorized error account. 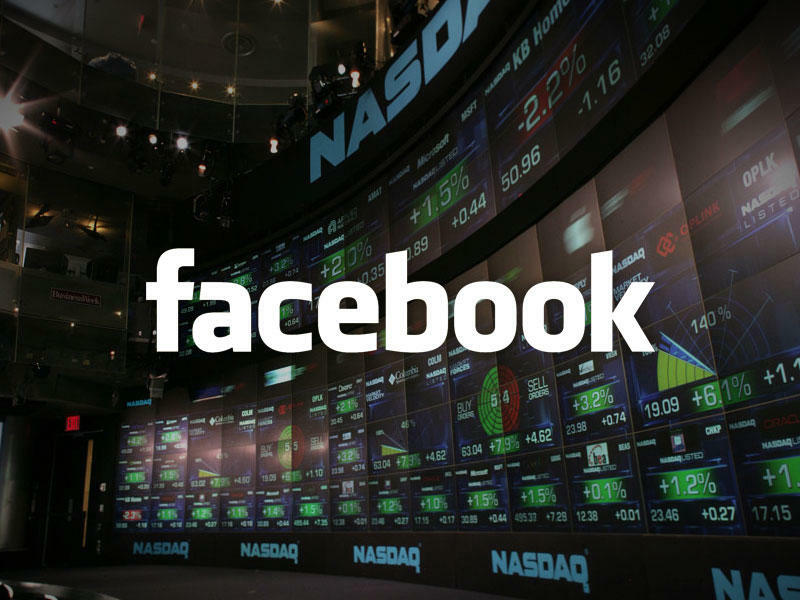 In separate incidents unrelated to the Facebook IPO, the SEC’s order additionally charges NASDAQ with violations of Regulation NMS and Regulation SHO based on its failure to appropriately monitor and enforce compliance with price-test restrictions in October 2011 and August 2012. The SEC’s order finds that NASDAQ violated Section 19(g)(1) of the Securities Exchange Act of 1934 by not complying with several of its own rules, and that NES violated Section 15(c)(3) of the Exchange Act and Rule 15c3-1 thereunder by failing to maintain sufficient net capital reserves on May 18, 2012. Additionally, NASDAQ violated Rule 201(b) of Regulation SHO during two separate incidents in October 2011 and August 2012 and also violated Rule 611 of Regulation NMS during the October 2011 incident. NASDAQ and NES agreed to a settlement without admitting or denying the SEC’s findings. The order censures NASDAQ and NES, imposes a $10 million penalty on NASDAQ, and requires both NASDAQ and NES to cease and desist from committing or causing these violations and any future violations. The order also requires NASDAQ and NES to complete numerous undertakings. The SEC’s investigation was conducted by Michael Holland, Daniel Marcus, and Amelia A. Cottrell, who are members of the Market Abuse Unit in New York. They were assisted by Brendan Hamill, George Makris, Mark Donohue, Jon Hertzke, and Kristen Lever in the National Exam Program’s Office of Market Oversight under the supervision of John Polise. The case was supervised by Daniel M. Hawke, who is the Market Abuse Unit’s Chief, and Sanjay Wadhwa, who is Senior Associate Director of the SEC’s New York Regional Office.